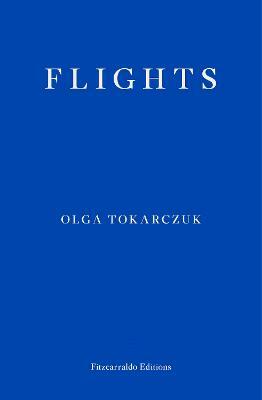 FLIGHTS, a novel about travel in the twenty-first century and human anatomy, is Olga Tokarczuk's most ambitious to date. It interweaves travel narratives and reflections on travel with an in-depth exploration of the human body, broaching life, death, motion, and migration. From the seventeenth century, we have the story of the Dutch anatomist Philip Verheyen, who dissected and drew pictures of his own amputated leg. From the eighteenth century, we have the story of a North African-born slave turned Austrian courtier stuffed and put on display after his death. In the nineteenth century, we follow Chopin's heart as it makes the covert journey from Paris to Warsaw. In the present we have the trials of a wife accompanying her much older husband as he teaches a course on a cruise ship in the Greek islands, and the harrowing story of a young husband whose wife and child mysteriously vanish on a holiday on a Croatian island. With her signature grace and insight, Olga Tokarczuk guides the reader beyond the surface layer of modernity and towards the core of the very nature of humankind. Olga Tokarczuk is one of Poland's best and most beloved authors. In 2015 she received the Brueckepreis and the prestigious annual literary award from Poland's Ministry of Culture and National Heritage, as well as Poland's highest literary honour, the Nike, and the Nike Readers' Prize. Tokarczuk also received a Nike in 2009 for FLIGHTS. She is the author of eight novels and two short story collections, and has been translated into a dozen languages. Defying easy categorisation (and, indeed, description by a bookseller who really wants you to read it), Flights jettisons convention, crosses places, time zones and eras, and calls into being the novel of our connected age. One of the most extraordinary and exhilarating books I've read in recent times, confirming Tokarczuk's genius, it sets a new standard for contemporary fiction and should most definitely be at the top of your summer reading list.